Marijuana addiction is becoming increasingly common as marijuana use spreads. Marijuana is the most commonly used illegal drug and is derived from a plant containing more than 400 chemical constituents with THC, the main psychoactive ingredient. In the brain, marijuana impacts the cannabinoid (CB) receptors that are concentrated in areas that influence pleasure, memory, thought, concentration, appetite and movement coordination. The short-term effects of marijuana use include euphoria, distorted perceptions, difficulty thinking and poor memory. Many people are not aware that continued marijuana use can lead to addiction. The number of people with a marijuana addiction is growing, possibly linked to the greater potency of marijuana today than a decade ago. The drug produces cravings and withdrawal symptoms such as irritability, sleeping problems and anxiety. Long-term marijuana addiction can also lead to poorer educational outcomes. Recent research suggests that marijuana use under the age of 25 can lower a person’s IQ, compromise job performance and diminish life satisfaction. The active ingredient in marijuana and hashish, THC, has a profound impact on the brain. 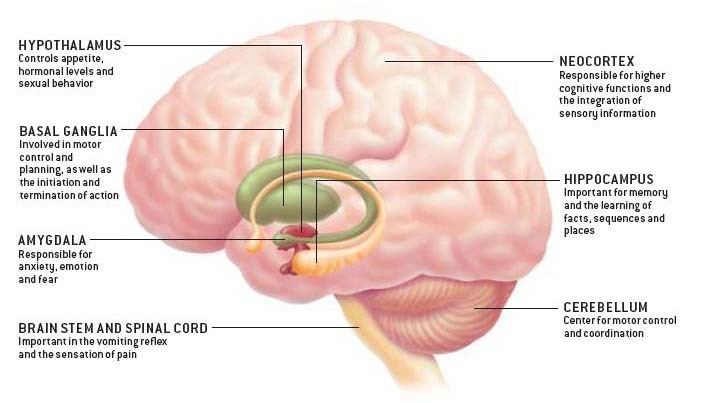 THC attaches to the CB receptors on the nerve cells, changing the way in which these cells work. The CB receptors that are adversely affected by THC are in the areas of the brain that regulate movement, coordination, learning and memory and cognitive functions such as judgment and pleasure. Please contact St. Joseph Institute today to begin rehab for marijuana addiction for you or a loved one.